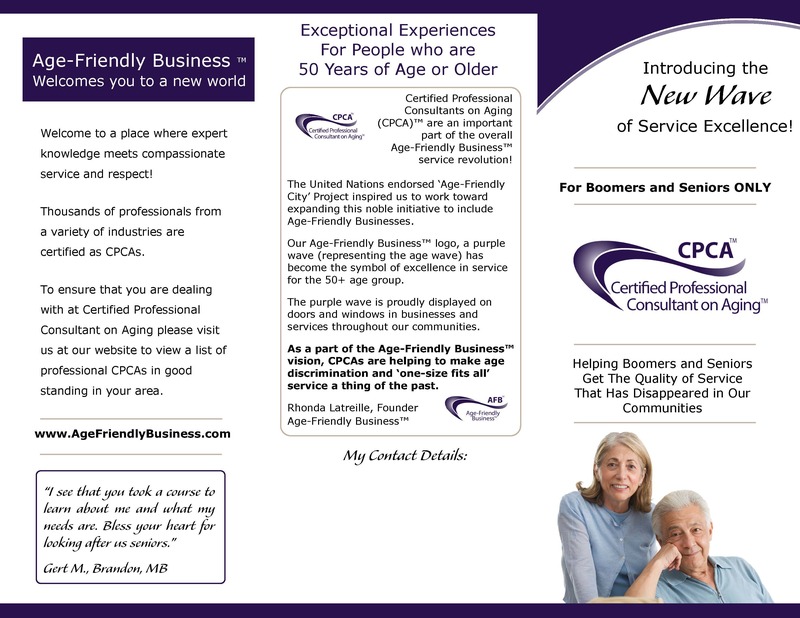 You worked hard to earn your Certified Professional Consultant on Aging (CPCA)® Designation and it is time to let your community know that you offer something unique and special. 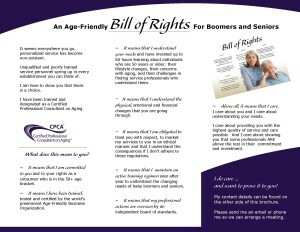 These tri-fold brochures showcase your commitment to them by celebrating their Bill of Rights! 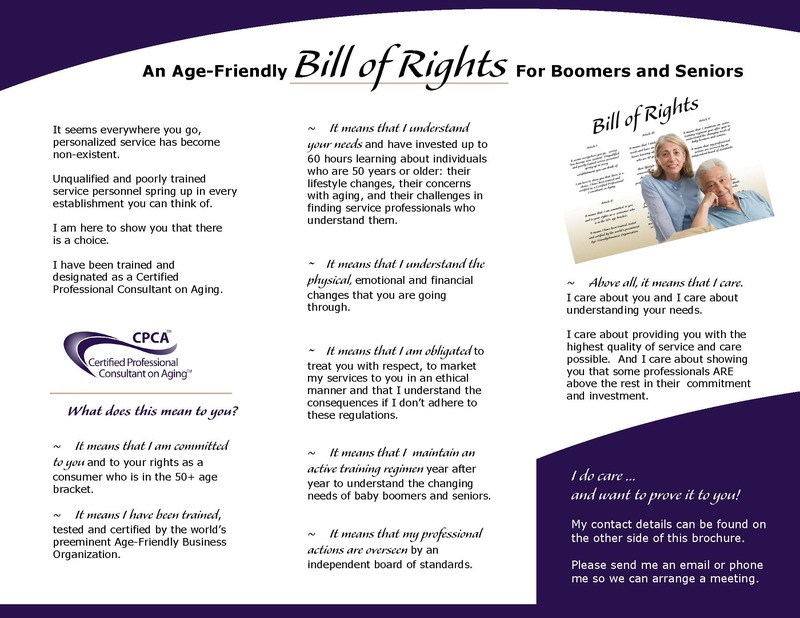 To order, simply click on the number of brochures you would like to order (make sure you choose either personalized or non-personalized brochures.) Applicable taxes plus $15 shipping fee will be included in the invoice.